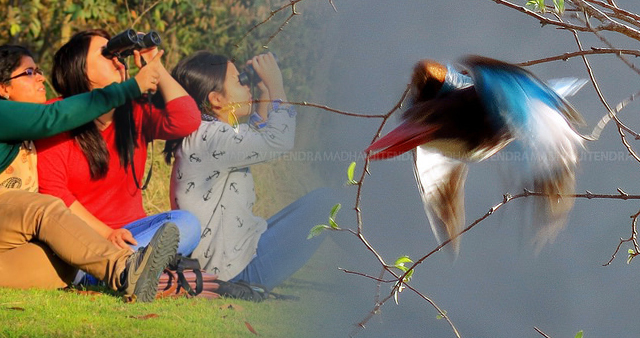 In a recent global bird count conducted by the Great Backyard Bird Count (GBBC), India became the country recording the second highest bird count at 735 species, after Ecuador with 784 species! That's a good news! Firstly because bird population is thriving in worlds second populous country. Secondly, awareness among people is increasing and lastly, the awareness will bring people together to safeguard the habitat of birds. The most frequently encountered species in India are house sparrow, bulbul, common crow, common myna, rock pigeon, black drongo, and asian koel, as per the GBBC. Though this depends upon the geography, where are you at the moment, largely you will always find these birds everywhere. I am preparing a list of birds I have photographed, I hope to compile it soon with all other details! If I guess, the list will go uptp 90 species!